For my fellow gardeners and succulent addicts, I have two new birthday cards. 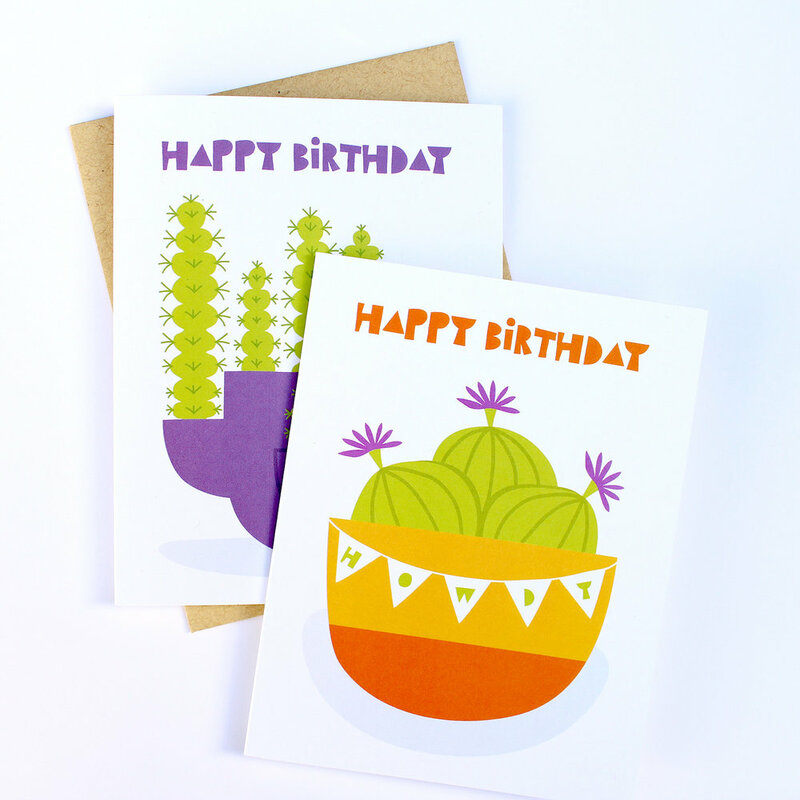 These colorful cards feature my original illustrations of a green spikey cactus and a blooming Obesa succulent and are printed on 100% recycled paper in the USA. Go buy ‘em in the shop! Thank you for shopping small and supporting an independent designer. Happy 2019! I’ve got a batch of new greeting cards just added to the shop. Stock up for all those birthdays, grab a set of thank you cards, and be prepared for all your greeting card needs. All my cards are printed in the USA on 100% recycled paper and the sleeves are compostable! I am dedicated to keeping my goods as eco-friendly as possible. Retailers and shops, I’m now selling wholesale on Faire. My line of cards is going strong with plenty more to come this year. For you fellow list-makers out there, I’ve got something just for you. I have two new notepads in the shop. One is blank featuring pansies on a light blue-green background and the other is a to do list with lines and check boxes to help keep you on task. Both are only $7.99 and are shipping now! There are over a dozen thank you cards currently stocked in my shop. Everyone loves receiving a thank you card, so stock up and keep them on hand so you're always ready. Cards are available in singles and sets of 10. 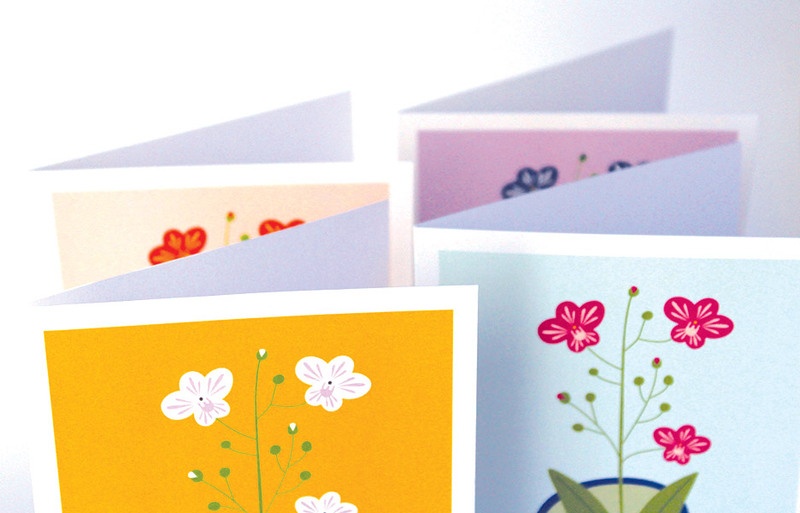 Cards are designed in California and printed in the USA on recycled paper. Save 10% off with the code SUMMERSALE. Hurry, code expires on Saturday! 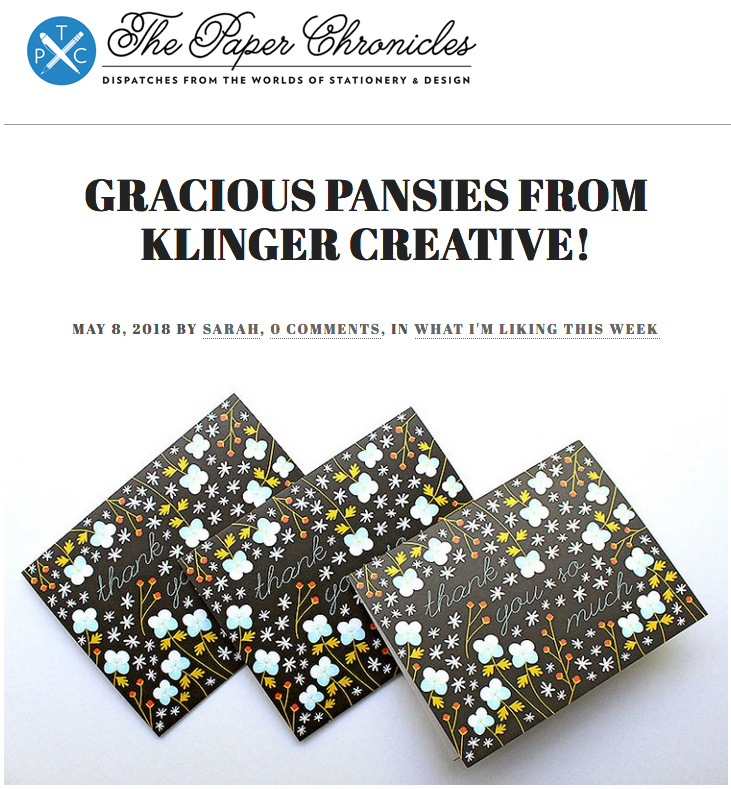 My new Gracious Pansy card collection is featured on The Paper Chronicles. It's always such an honor to get a feature, and this is no different. I really love these new cards and it's nice to see them get a little love. They are printed in the USA on recycled paper as individual cards and sets of 10. They are available for sale now! You are supporting a small woman-owned business and your support means a whole lot. Brand new to the shop are birthday card mini packs! They feature 6 different birthday cards packaged in a sweet kraft brown box and include envelopes. This is a great way to stock up on birthday cards and keep them on hand for those upcoming Spring birthdays! Get a set now for only $18. Free shipping with the code "SPRINGFREE", good until April 5th. 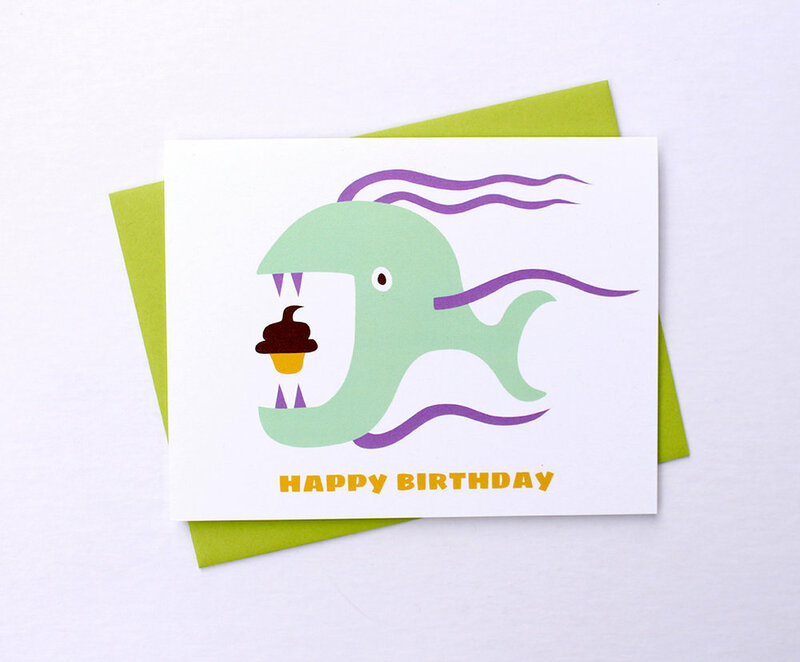 New Birthday Card: Fish Cake! My Winter Wear holiday cards were featured on Paper Crave. What a nice surprise to see them on one of their holiday card picks. I love this design and I'm glad to see it get a little love this season.